Keith has a Master's of Divinity Degree from Wesley Theological Seminary. He Holds a second Master's Degree in counseling from the State Univeristy of New York. He is a National Board Certified counselor and is a Licensed Professional Counselor from the state of Oklahoma. He is married, has two adult children and three grandsons. He provides individual, couple and marital counseling to both children and adults. Connie, Administrative Manager, has been at Samaritan Counseling & Growth Center for nearly two years. She has a wide business background in accounting and management. She is responsible for the "business side of the house" and has overseen many procedural changes since coming to Samaritan. Connie is married to Doug, has grown children and grandchildren. She enjoys gardening, knitting, her Sheltie dog and two cats. Mary, Administrative Assistant, has recently joined the staff. Her background is in business and finance. She has also spent her career working with public relations. She is currently working on a degree at Rogers State University in Human Resources. Mary's position at Samaritan makes the face and voice of Samaritan. Mary is married, has children and grandchildren. Karen has a Master's Degree in Social Work from West Virginia University in Morgantown, West Virginia. Karen is licensed by the state of Oklahoma as a Clinical Social Worker. Karen is a native of West Virginia. She specializes in children, and family and parenting issues. She also provides individual and marriage counseling. She is married, has two grown children, and is the grandmother of twins. Jan has a Master's Degree in Social Work from the University of Nebraska. 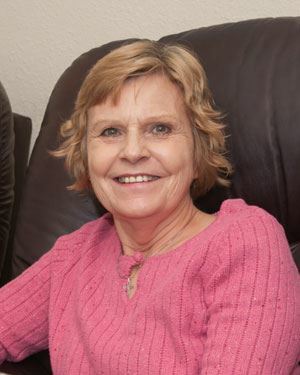 Jan has over 30 years of experience in a broad range of clinical settings. Jan is licensed by the state of Oklahoma as Clinical Social Worker. She is experienced in working with adults, adolescents, and children. She also provides play therapy. Jan works with individuals, couples, and groups. She specializes in anger management, and spouse and child abuse. Debbie holds a Masters Degree in Human Relations from the University of Oklahoma. She is a Licensed Professional Counselor with the state of Oklahoma. Debbie works is with children, adults and families. She works with depression, anxiety and with family member of addiction individuals. Debbie is married, has two adult children, and four grandchildren. Lisa has a Master’s Degree in Counseling and Psychology from Troy State University at Dothan, AL. M.A.L.S. Wesleyan University, CT. Lisa is a Licensed Professional Counselor with the state of Okalhoma. Lisa is a Dance/Movement Therapist. Lisa is a member of the American Counseling Association and the American Dance Therapy Association. Her clinical specialties are stress management, dance/movement therapy and mind body. Karen has a Master's Degree in Social Work from West Virginia University and obtained her clinical license in Social Work through two additional years of study with a Clinical Social Worker. Karen specializes in anxiety, depression, Bi-Polar Disorder, parenting issues, and victims of abuse and domestic violence She has also had extensive experience with children, adolescents, families and parenting issues. Karen does individual counseling covering various issues as well as marital counseling. Originally from West Virginia, Karen and her husband moved to Barlesville in 2001. They have two grown sons and four grandchildren.